You are also required to comply with, and to ensure compliance with, all laws, ordinance and regulations applicable to your activities on the Reader's Rides service. Reader's Rides is intended and designed for users 18 years of age and older, and access or use by anyone younger is not authorized. 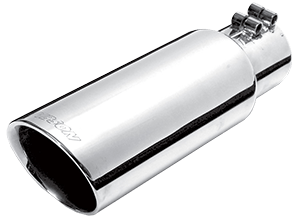 Gibson Performance Exhaust also has the right in its sole discretion to limit, modify, interrupt, suspend, or discontinue all or any portions of Reader's Rides at any time without notice. Gibson Performance Exhaust and Gibson Performance Exhaust Representatives shall not be liable for any such limitations, modification, interruptions, suspensions, or discontinuance, or any purported losses, harm or damages arising from or related thereto. Gibson Performance Exhaust does not control, is not responsible for, and makes no representations or warranties with respect to any user content posted on Reader's Rides. You agree, as a user of Reader's Rides, that you are solely responsible for your access to, use of, and /or reliance on any user content. You must conduct any necessary, appropriate, prudent, or judicious investigation, inquiry, research and due diligence with respect to any user content. Any content posted on Reader's Rides may not reflect the same principles, values, ideas, or opinions held by Gibson Performance Exhaust or Gibson Performance Exhaust Representatives. You are also responsible for any content and classifieds that you post or transmit on Reader's Rides and, if you create an account, you are responsible for all content posted or transmitted through or by use of your account. You automatically grant and assign to Gibson Performance Exhaust, and you represent and warrant that you have the right to grant and assign to Gibson Performance Exhaust, a perpetual, irrevocable, unlimited, fully paid, fully sub-licensable (through multiple tiers), worldwide license to copy, perform, display, distribute, prepare derivative works from (including, without limitation, incorporating into other works) and otherwise use any content that you post on Reader's Rides. You also expressly grant and assign to Gibson Performance Exhaust all rights and causes of action to prohibit and enforce against any unauthorized copying, performance, display, distribution, use or exploitation of, or creation of derivative works from, any content that you post (including but not limited to any unauthorized downloading, extraction, harvesting, collection or aggregation of content that you post). Gibson Performance Exhaust does not control, is not responsible for and makes no representations or warranties with respect to any user or user conduct on Reader's Rides. You are solely responsible for your interaction with or reliance on any user or user conduct. You must perform any necessary, appropriate, prudent or judicious investigation, inquiry, research and due diligence with respect to any user or user conduct. You are also responsible for your own conduct and activities on, through or related to Reader's Rides, and, if you create an account on Reader's Rides, you are responsible for all conduct or activities on, through or by use of your account. You agree to indemnify and hold Gibson Performance Exhaust and Gibson Performance Exhaust Representatives harmless from and against any third-party claim, cause of action, demand or damages related to or arising out of your own conduct or activities on, through or related to Reader's Rides or Reader's Rides Representatives, and related to or arising out of any conduct or activities on, through or by use of your Reader's Rides account, if any. This indemnification obligation includes payment of any attorneys' fees and costs incurred by Gibson Performance Exhaust or Gibson Performance Exhaust Representatives. Users may not circumvent any technological measure implemented by Gibson Performance Exhaust or Reader's Rides to restrict the manner in which content may be posted on Reader's Rides or to regulate the manner in which content (including but not limited to email) may be transmitted to other users. This prohibition includes, without limitation, a ban on the use of multiple email addresses (created via an email address generator or otherwise); the use of multiple IP addresses (via proxy servers, modem toggling, or otherwise); automating or outsourcing the account creation or login process; multiple and/or fraudulent Reader's Rides accounts, including phone-verified accounts; URL shortening, obfuscation or redirection; use of multiple phone lines or phone forwarding for verification; and content obfuscation via HTML techniques, printing text on images, inserting random text or content "spinning." It is expressly prohibited for any third party to post content to Reader's Rides on behalf of another. Users must post content only on their own behalf, and may not permit, enable, induce or encourage any third party to post content for them. It is expressly prohibited to post content to Reader's Rides using any automated means. Users must post all content personally and manually through all steps of the posting process. It is also expressly prohibited for any user to develop, offer, market, sell, distribute or provide an automated means to perform any step of the posting process (in whole or in part). Any user who develops, offers, markets, sells, distributes or provides an automated means to perform any step of the posting process (in whole or in part) shall be responsible and liable to Reader's Rides for each instance of access to Reader's Rides (by any user or other third party) using that automated means. Affiliate marketing is expressly prohibited on Reader's Rides. Users may not post content or communicate with any Reader's Rides user for purposes of affiliate marketing or in connection with any affiliate marketing system, scheme or program in any manner or under any circumstance. A user must create his/her account personally and manually and may not create accounts by any automated means. This section 5 applies to all uses and users of Reader's Rides, unless Gibson Performance Exhaust has specifically authorized an exception to a particular term for a particular user in a written agreement. 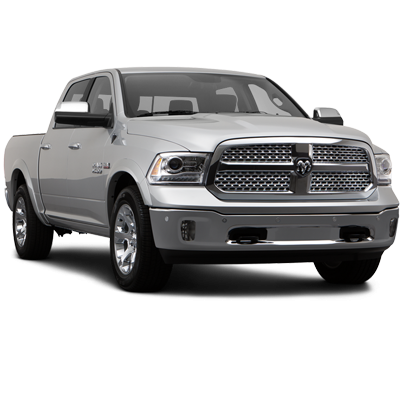 Gibson Performance Exhaust has sole and absolute discretion to authorize or deny any exception or exceptions to the terms in this section 5. To maintain the integrity and functionality of Reader's Rides for its users, access to Reader's Rides and/or activities related to Reader's Rides that are harmful to, inconsistent with or disruptive of Reader's Rides and/or its users' beneficial use and enjoyment of Reader's Rides are expressly unauthorized and prohibited. Any copying, aggregation, display, distribution, performance or derivative use of Reader's Rides or any content posted on Reader's Rides whether done directly or through intermediaries (including but not limited to by means of spiders, robots, crawlers, scrapers, framing, iframes or RSS feeds) is prohibited. As a limited exception, general purpose Internet search engines and noncommercial public archives will be entitled to access Reader's Rides without individual written agreements executed with Gibson Performance Exhaust that specifically authorize an exception to this prohibition if, in all cases and individual instances: (a) they provide a direct hyperlink to the relevant Reader's Rides website, service, forum or content; (b) they access Gibson Performance Exhaust from a stable IP address using an easily identifiable agent; and (c) they comply with Gibson Performance Exhaust robots.txt file; provided however, that Gibson Performance Exhaust may terminate this limited exception as to any search engine or public archive (or any person or entity relying on this provision to access Reader's Rides without their own written agreement executed with Gibson Performance Exhaust), at any time and in its sole discretion, upon written notice, including, without limitation, by email notice. Any access to or use of Reader's Rides to design, develop, test, update, operate, modify, maintain, support, market, advertise, distribute or otherwise make available any program, application or service (including, without limitation, any device, technology, product, computer program, mobile device application, website, or mechanical or personal service) that enables or provides access to, use of, operation of or interoperation with Gibson Performance Exhaust (including, without limitation, to access content, post content, cross-post content, re-post content, respond or reply to content, verify content, transmit content, create accounts, verify accounts, use accounts, circumvent and/or automate technological security measures or restrictions, or flag content) is prohibited. This prohibition specifically applies but is not limited to software, programs, applications and services for use or operation on or by any computer and/or any electronic, wireless and/or mobile device, technology or product that exists now or in the future. Any effort to decompile, disassemble or reverse engineer all or any part of Reader's Rides in order to identify, acquire, copy or emulate any source code or object code is expressly prohibited. Gibson Performance Exhaust and Gibson Performance Exhaust Representatives are not parties to, have no involvement or interest in, make no representations or warranties as to, and have no responsibility or liability with respect to any communications, transactions, interactions, disputes or any relations whatsoever between you and any other user, person or organization ("your interactions with others"). You must conduct any necessary, appropriate, prudent or judicious investigation, inquiry, research or due diligence with respect to your interactions with others. You agree to indemnify and hold Gibson Performance Exhaust and Gibson Performance Exhaust Representatives harmless from and against any third-party claim, cause of action, demand or damages related to or arising out of your interactions with others. This indemnification obligation includes payment of any attorneys' fees and costs incurred by Gibson Performance Exhaust or Gibson Performance Exhaust Representatives. 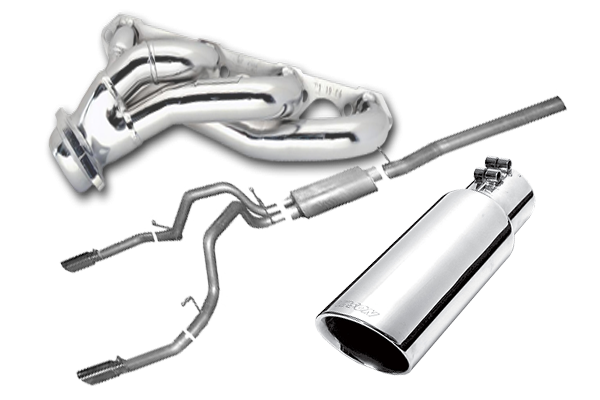 Gibson Performance Exhaust may charge a fee to post content or for other features, products, services or licenses. 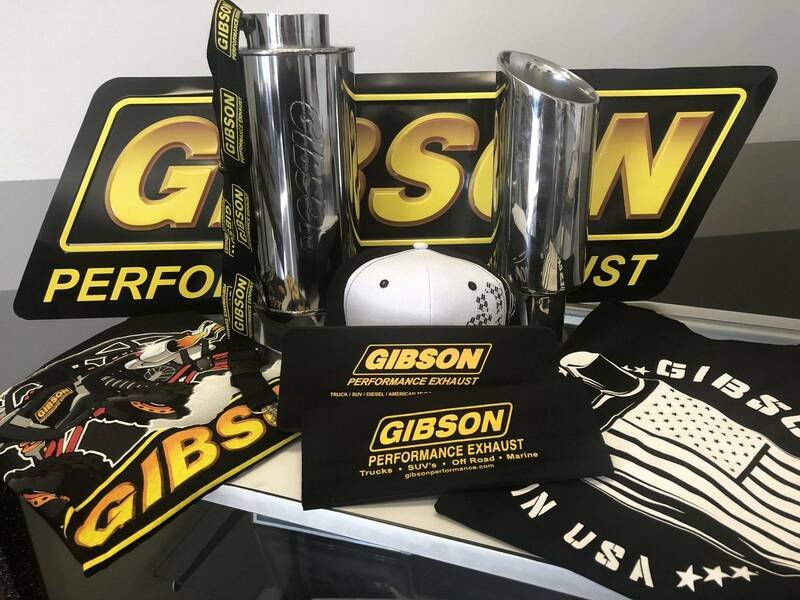 You are responsible to Gibson Performance Exhaust for any fees applicable to content that you post or other features, products, services or licenses you purchase or that are purchased through your account. You authorize Gibson Performance Exhaust, or its designated payment processor, to charge your specified credit card, debit card or other payment method for such fees. Except as required by law, all fees are nonrefundable, including, without limitation, in situations where paid posts are removed by Gibson Performance Exhaust or by community flagging. Payments and purchases may not be canceled by the user, except as required by law. However, Gibson Performance Exhaust reserves the right to refuse or terminate any purchase or attempted purchase at any time in its sole discretion. You understand and agree that if you authorize a payment transaction with your credit card, debit card or other payment method, but your charge is rejected for any reason, there may be a hold on your use of that transaction amount for several days. YOUR ACCESS TO, USE OF AND RELIANCE ON Reader's Rides AND CONTENT ACCESSED THROUGH Reader's Rides IS ENTIRELY AT YOUR OWN RISK. Gibson Performance Exhaust (INCLUDING, WITHOUT LIMITATION, THE WEBSITES, PROGRAMS, SERVICES, FORUMS AND CONTENT ACCESSED THROUGH THE WEBSITES, PROGRAMS, SERVICES AND FORUMS) IS PROVIDED ON AN "AS IS" OR "AS AVAILABLE" BASIS WITHOUT ANY WARRANTIES OF ANY KIND. 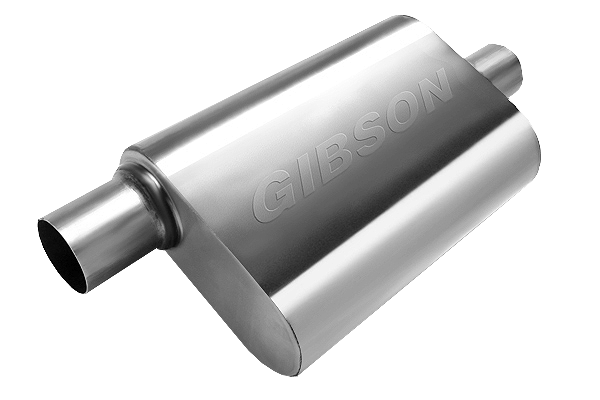 WITHOUT LIMITING THE FOREGOING, Gibson Performance Exhaust ALSO DISCLAIMS ALL WARRANTIES FOR OR WITH RESPECT TO: (a) THE SECURITY, RELIABILITY, TIMELINESS, ACCURACY AND PERFORMANCE OF Reader's Rides AND CONTENT ACCESSED THROUGH Reader's Rides ; (b) COMPUTER WORMS, VIRUSES, SPYWARE, ADWARE AND ANY OTHER MALWARE, MALICIOUS CODE OR HARMFUL CONTENT OR COMPONENTS ACCESSED, RECEIVED OR DISSEMINATED THROUGH, RELATED TO OR AS A RESULT OF Reader's Rides OR CONTENT ACCESSED THROUGH Reader's Rides ; (c) ANY TRANSACTIONS OR POTENTIAL TRANSACTIONS, GOODS OR SERVICES PROMISED OR EXCHANGED, INFORMATION OR ADVICE OFFERED OR EXCHANGED, OR OTHER CONTENT, INTERACTIONS, REPRESENTATIONS OR COMMUNICATIONS THROUGH, RELATED TO OR AS A RESULT OF USE OF Reader's Rides OR CONTENT ACCESSED THROUGH Reader's Rides (INCLUDING, WITHOUT LIMITATION, ACCESSED THROUGH ANY LINKS ON Reader's Rides OR IN CONTENT). Gibson Performance Exhaust AND THE Gibson Performance Exhaust REPRESENTATIVES SHALL UNDER NO CIRCUMSTANCES BE LIABLE FOR ANY ACCESS TO, USE OF OR RELIANCE ON Reader's Rides OR CONTENT ACCESSED THROUGH Reader's Rides BY YOU OR ANYONE ELSE, OR FOR ANY TRANSACTIONS, COMMUNICATIONS, INTERACTIONS, DISPUTES OR RELATIONS BETWEEN YOU AND ANY OTHER PERSON OR ORGANIZATION ARISING OUT OF OR RELATED TO Reader's Rides OR CONTENT ACCESSED THROUGH Reader's Rides , INCLUDING BUT NOT LIMITED TO LIABILITY FOR INJUNCTIVE RELIEF AS WELL AS FOR ANY HARM, INJURY, LOSS OR DAMAGES OF ANY KIND INCURRED BY YOU OR ANYONE ELSE (INCLUDING, WITHOUT LIMITATION, DIRECT, INDIRECT, INCIDENTAL, SPECIAL, CONSEQUENTIAL, STATUTORY, EXEMPLARY OR PUNITIVE DAMAGES, EVEN IF Gibson Performance Exhaust OR ANY Gibson Performance Exhaust REPRESENTATIVE HAS BEEN ADVISED OF THE POSSIBILITY OF SUCH DAMAGES). THIS LIMITATION OF LIABILITY APPLIES REGARDLESS OF, BUT IS NOT RESTRICTED TO, WHETHER THE ALLEGED LIABILITY, HARM, INJURY, LOSS OR DAMAGES AROSE FROM AUTHORIZED OR UNAUTHORIZED ACCESS TO OR USE OF Reader's Rides OR CONTENT ACCESSED THROUGH Reader's Rides ; ANY INABILITY TO ACCESS OR USE Reader's Rides OR CONTENT ACCESSED THROUGH Reader's Rides ; OR ANY REMOVAL, DELETION, LIMITATION, MODIFICATION, INTERRUPTION, SUSPENSION, DISCONTINUANCE OR TERMINATION OF Reader's Rides OR CONTENT ACCESSED THROUGH Reader's Rides. THESE LIMITATIONS SHALL ALSO APPLY WITH RESPECT TO DAMAGES RESULTING FROM ANY TRANSACTIONS OR POTENTIAL TRANSACTIONS, GOODS OR SERVICES PROMISED OR EXCHANGED, INFORMATION OR ADVICE OFFERED OR EXCHANGED, OR OTHER CONTENT, INTERACTIONS, REPRESENTATIONS, COMMUNICATIONS OR RELATIONS THROUGH, RELATED TO OR AS A RESULT OF Reader's Rides OR CONTENT ACCESSED THROUGH Reader's Rides (INCLUDING, WITHOUT LIMITATION, ANY LINKS ON Reader's Rides AND LINKS IN CONTENT ACCESSED THROUGH Reader's Rides). You hereby release Gibson Performance Exhaust and each of the Gibson Performance Exhaust Representatives, and their respective subsidiaries, affiliates, successors, predecessors, assigns, heirs, service providers and suppliers, from all claims, demands and damages of every kind and nature, known and unknown, direct and indirect, suspected and unsuspected, disclosed and undisclosed, arising out of or in any way related to Reader's Rides or content accessed through Reader's Rides, or any interactions with others arising out of or related to Reader's Rides or content accessed through Reader's Rides, and you expressly waive the provisions of California Civil Code Section 1542 (and any similar laws in other jurisdictions), which provides: "A general release does not extend to claims which the creditor does not know or suspect to exist in his favor at the time of executing the release, which, if known by him must have materially affected his settlement with the debtor." 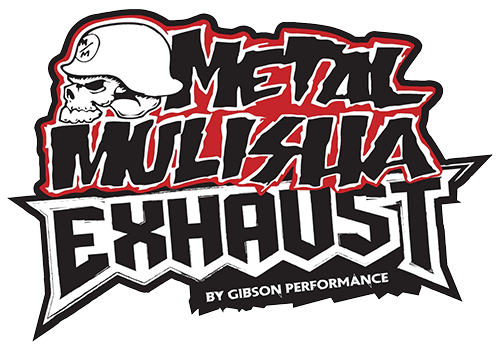 Any personal and/or private information that Gibson Performance Exhaust and/or Reader's Rides collects which includes, but is not limited to, names, addresses, phone numbers, e-mail addresses, IP addresses, and access dates and times will not be shared with any third party company, organization, or any other external entity. You agree that any and all personal and/or private information provided to Gibson Performance Exhaust and/or Reader's Rides is done so by your own discretion and consent. Personal information is collected during the sign-up process and is used to differentiate you from other users of Reader's Rides. Furthermore, you agree that Gibson Performance Exhaust has your full consent to collect and use any and all personal and/or private information that is provided to Reader's Rides. Gibson Performance Exhaust will not disclose personal information collected about you, except for certain explicit circumstances in which disclosure is required by law. Examples of this include but are not limited to if personal information is requested by a court of law, law enforcement, or government organizations. Gibson Performance Exhaust will not distribute or sell personal information to third-party organizations. If you do not wish for Gibson Performance Exhaust to collect your personal and/or private information and want to prohibit Gibson Performance Exhaust from collection and using your personal and/or private information you must not enter your personal and/or private information into any form of collection processes that Reader's Rides utilizes, which include but are not limited to, intake forms, weblogs, surveys, web forms, registration forms, newsletter sign ups, and order placement forms. You also agree that any and all information entered into Reader's Rides is true and correct, and that you are not using information that belongs to another person, company, individual, or organization. Gibson Performance Exhaust servers collect the following information which is not limited to, Internet Protocol (IP) addresses, web pages visited, referring web pages, browsers used, dates and times of access, and user log-in information. Gibson Performance Exhaust does not associate this data to individual user identities. This information is used to improve web presentation and utilization. IP address information may also be used for troubleshooting purposes. Gibson Performance Exhaust uses “cookies” in order to deliver web content specific to individual users’ interests and/or to keep track of online purchasing transactions. Sensitive personal information is not stored within cookies. Gibson Performance Exhaust and/or Reader's Rides uses webforms on this site. Web forms require users to give contact information that includes but is not limited to, full names, addresses, phone numbers, and e-mail addresses. Contact information from the registration form is used only to send material relating to the purpose for which it was collected and will not be sold to another party. 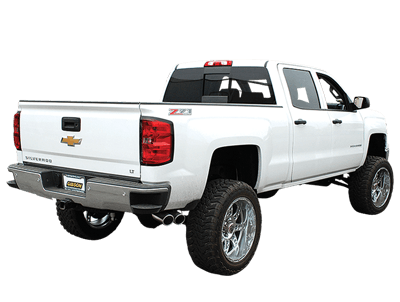 Gibson Performance Exhaust will only use personal information collected from this site for the purpose of communication back to individuals who contact us via the site.